I’m obsessed with donuts. 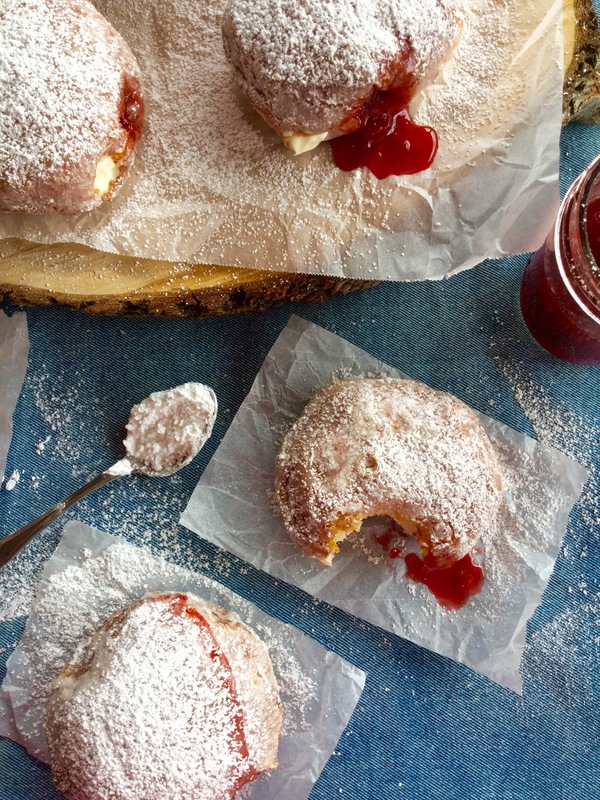 I have designated a whole board on Pinterest just for these fried confections. I love experimenting with different recipes to find the perfect one. Plus, the filling and topping options are absolutely endless. I even find the process of frying and glazing quite relaxing…no?just me?? As I’ve said in a previous post, I’ve had the most success using refrigerated canned biscuits. Trust me when I say….. no. one. will. ever. know. 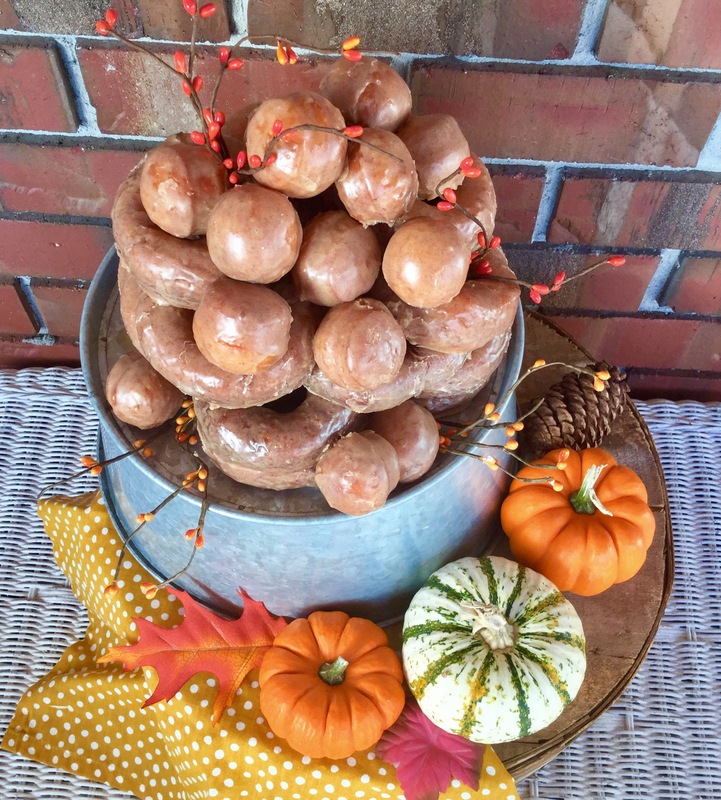 I wanted to give my favorite deep-fried treats a fall twist. I fried up my beloved canned biscuits and double glazed them in a pumpkin spice infused glaze. 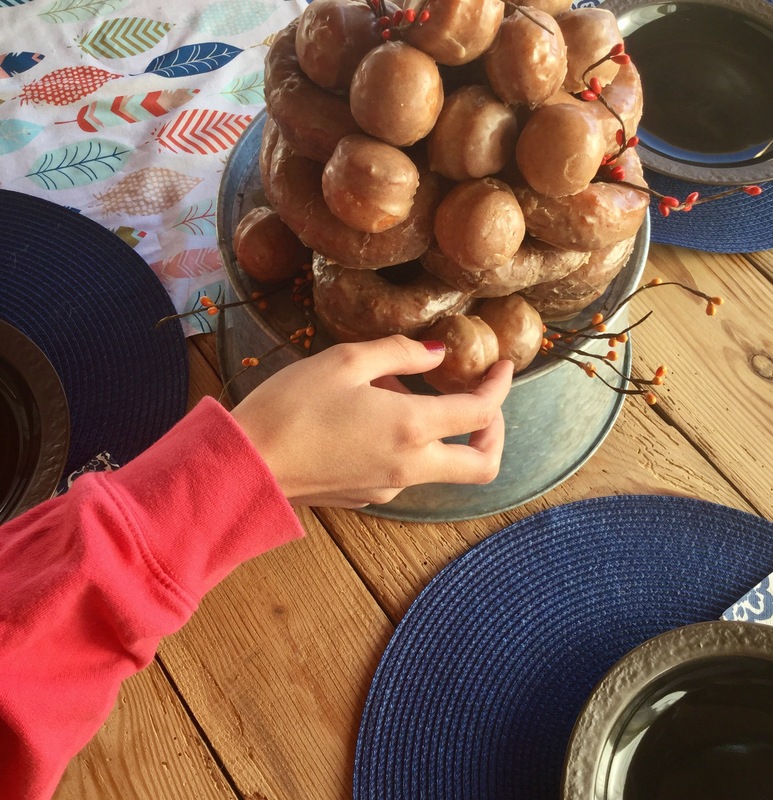 Then, I stacked the donuts and the donut holes to form a “cake”. My friends Sarah & Rachel came over to enjoy this “cake” and pumpkin coffees with me. Rachel always helps me by glazing the donuts. If you have someone to help you glaze while you fry, it really cuts the work in half. 1)I love to fry donuts in my 8 quart dutch oven, I can fry about 3-4 donuts at a time. You can fry in a skillet or even a regular pot if you don’t have a dutch oven. 2)I highly, highly recommend using a thermometer when frying to keep an eye on the temperature. You want to keep your temperature between 348-352 degrees F.
In a large mixing bowl, beat together the powdered sugar, pumpkin pie spice, salt, pumpkin, milk, vanilla, and melted butter with a hand-held mixer. In a dutch oven, heat oil over medium-high heat to 350 degrees F.
Remove the prepared biscuits from their cans and using a small 1 1/2 inch cookie or circle sized fondant cutter, cut a hole in the center of each biscuit. Gently drop about 3-4 biscuits in hot oil. Fry the biscuits until golden brown. Once the donuts are done frying, drop them immediately into the prepared glaze and then place them on a wire cooling rack that has been placed over a foil lined baking sheet. Repeat the same process with the donut holes. Let the donuts cool. You can double glaze your donuts if you wish, once the first layer of glaze has dried. 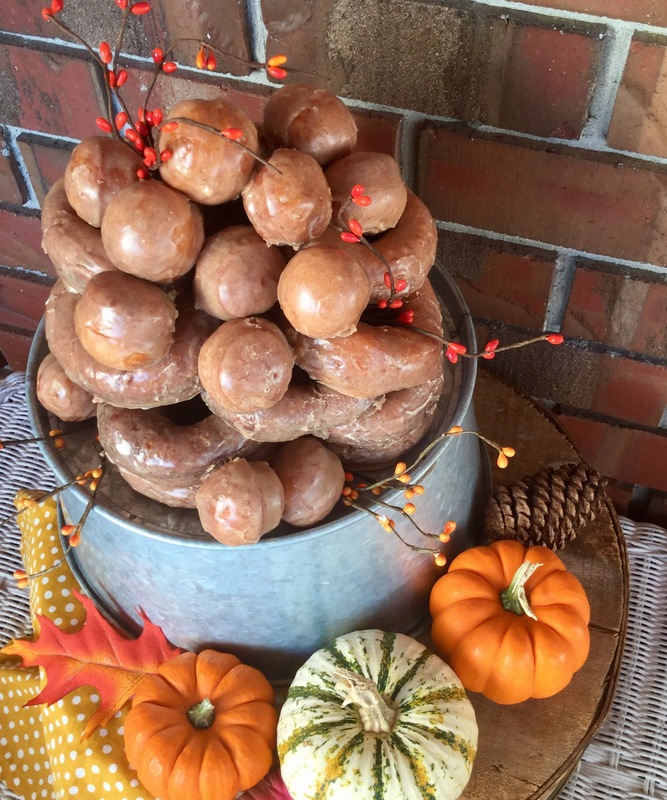 Once the glaze on the donuts has hardened, you can arrange them on a cake stand to look like a cake. 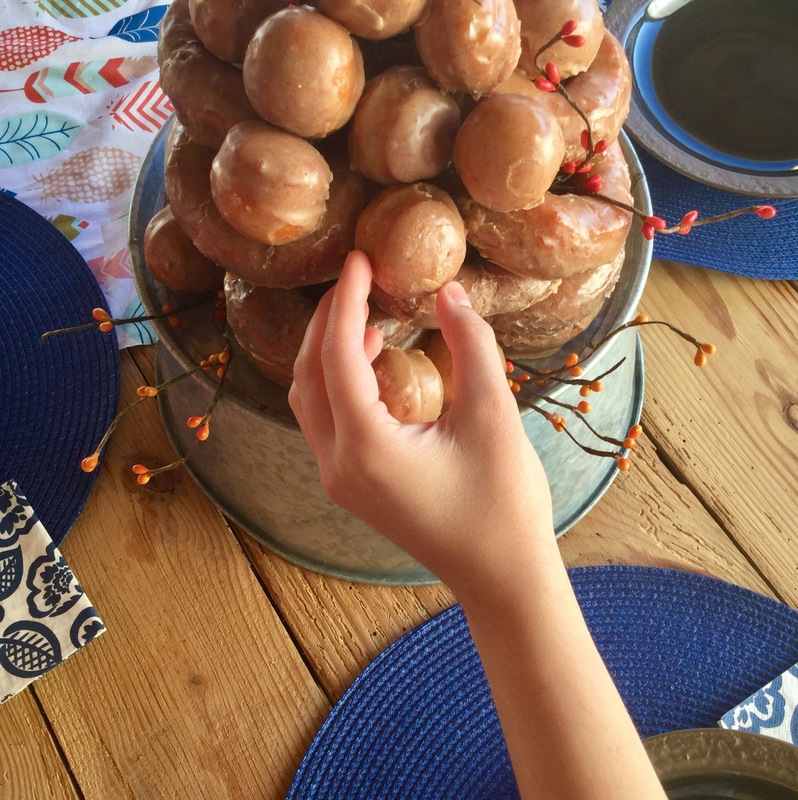 Pile the donut holes on top of the “cake”. Now you can serve. Enjoy !